A while back, Apple introduced its 2018 9.7-inch iPad model at the Creative Education event along with the pricing and availability details. During the same event, Apple also confirmed that the new iPad would be heading to the Indian market in April and Apple Authorised Resellers can sell the product. Today, e-commerce giant Flipkart has opened the pre-orders for the 9.7-inch iPad. The price of the iPad starts from Rs 28,000 in the country, and it comes in four different variants including Wi-Fi and Cellular models. The device will start shipping from April 20, and it’s up for pre-order in Silver, Gold and Space Gray colour options. Speaking about the pricing, the 2018 Apple iPad 9.7 will come in two storage variants- 32GB & 128GB. Both the storage variants come in Wi-Fi and Cellular models. 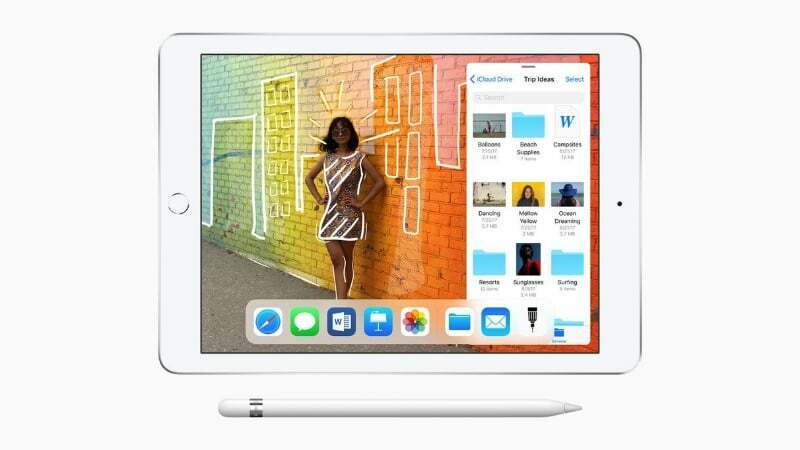 The 32GB Wi-Fi variant of the iPad 2018 is priced at Rs 28,000, followed by the 32GB Wi-Fi and Cellular version at Rs 35,700. The 128GB version of the Wi-Fi variant costs Rs 38,600, and lastly, the 128 gigs Wi-Fi and Cellular version will retail for Rs 46,300 in the country. The Cellular model has 4G connectivity option. As of now, there are not many pre-order deals available for the product apart from the standard 5% discount on Axis Bank Buzz Credit Card and up to Rs 16,000 off on Exchange. Talking about the specifications of 2018 9.7-inch iPad model, it ships with a 9.7-inch Retina display with a resolution of 2048 × 1536 pixels. And the highlight of this model is it supports Apple Pencil, which of course, has to be purchased separately for around Rs 8,000. As stated, this new iPad comes in two different storage variants: 32GB and 128GB. The TouchID biometric sensor is present on the front of the tablet. It has an 8MP rear camera and a 1.2MP HD camera. Internally, it’s powered by the Apple A10 Fusion chipset which was first seen on the Apple iPhone 7 and 7 Plus smartphones. The Cellular variant offers 4G LTE while the Wi-Fi doesn’t offer that. Connectivity options in the tablet include Wi-Fi 802.11 b/g/n/ac and Bluetooth 4.2. The Wi-Fi variant measures 469grams, whereas the Wi-Fi+Cellular version measures 478grams. Best device if one have the money to buy, apple pencil+ ipad maximum efficiency of work. This time its more for college going people in terms of price now i know people trash from ebay but its not for them. Well, I will wait for the new iPad pro devices to launch!! !